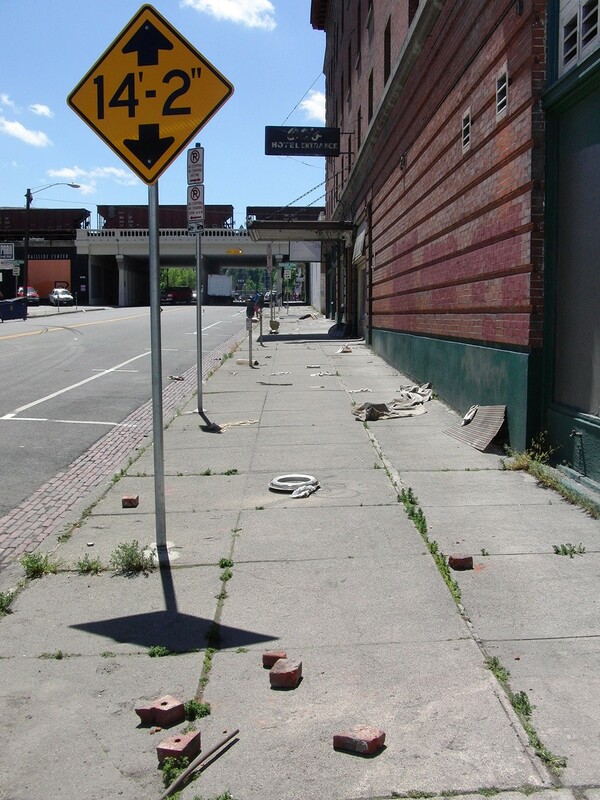 Boxes, trash, and debris scattered the nearly empty street underneath the Fox Theatre marquee, setting the eerie scene of the Z Nation set. 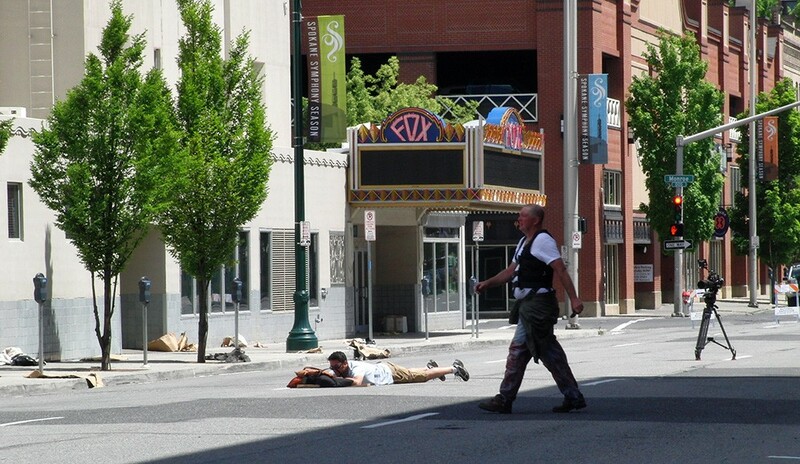 The downtown shooting of this TV series began on Wednesday morning on a stretch of First Avenue. 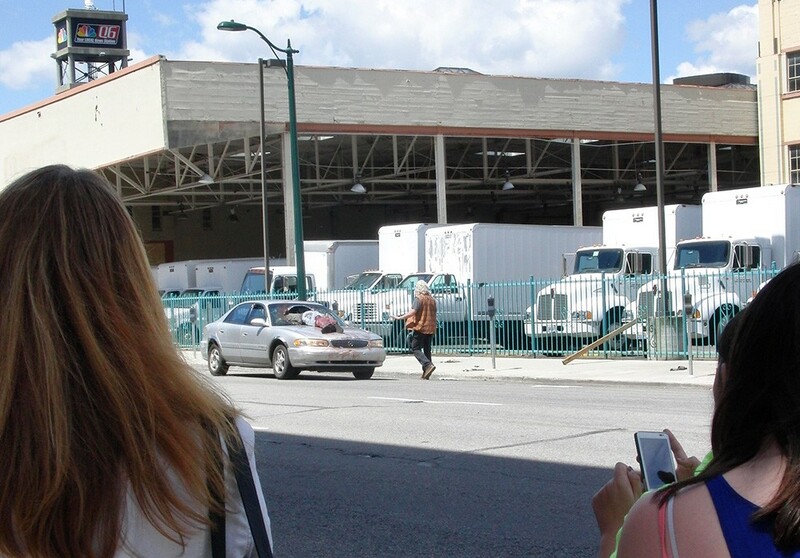 Crew members shuffled the crowds aside to the corner of Madison, unsure of how far the shrapnel would fly as their stunt driver crashed into the open door of a vehicle parked across the street. 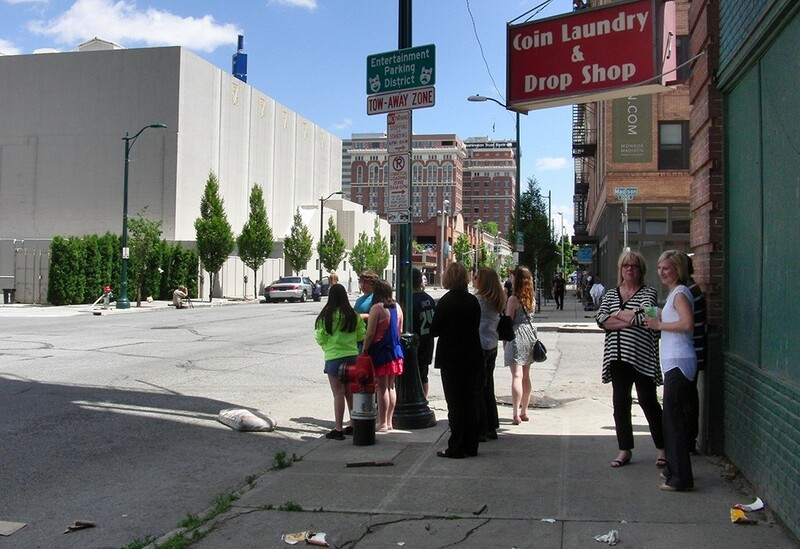 The gathered audience of roughly 20 people was an assortment of curious passersby and intentional observers, allowed to view the process from a short distance. Excitement for the filming of this series has been building in the community over several months after the production company's announcement of the new SyFy series in April. 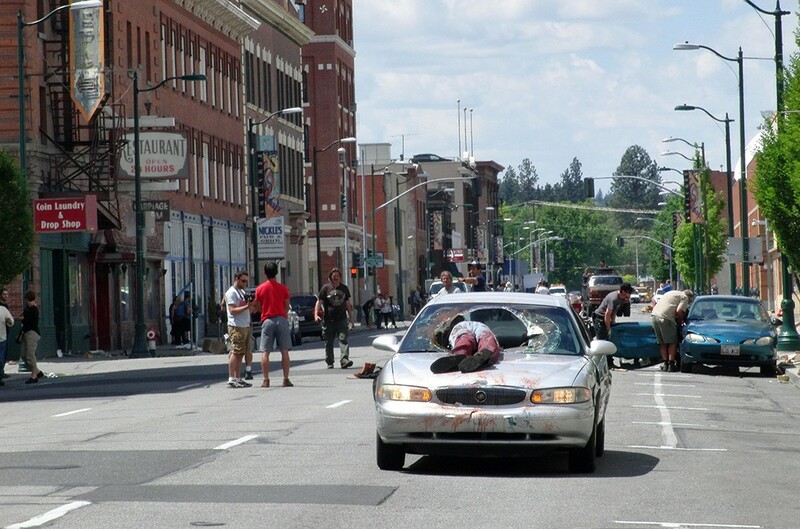 All eyes were on a car with a shattered windshield and dangling zombie dummy, which accelerated down the empty block. 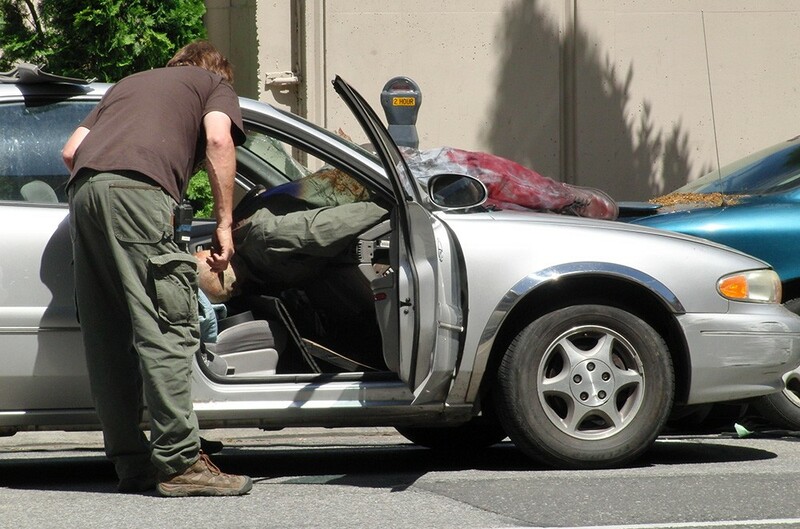 Following the anticipated collision, which left a door hanging to the ground, the scene's director shouted out, "One more time," and the production crew reset for one of several further takes. 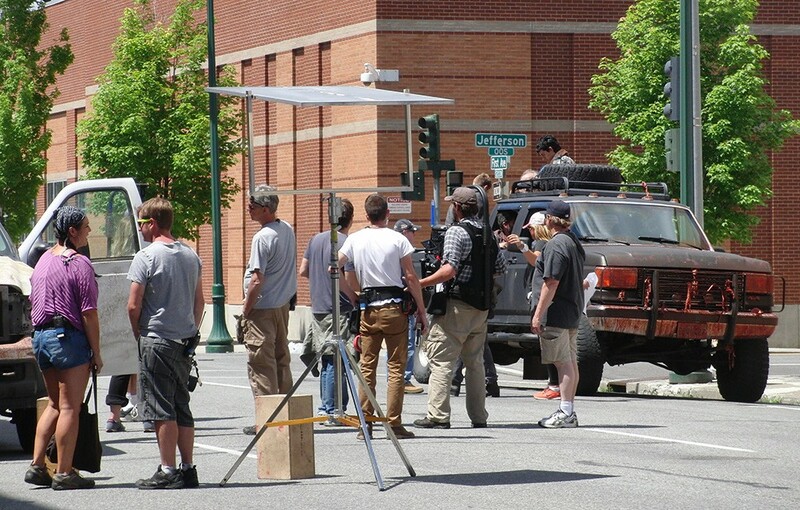 A block down, at the intersection of Jefferson and First Ave, a separate scene was filming, battling the noises of surrounding streets as they attempted to capture the dialogue of the characters piled into the back of a truck bed.